Number of Russian athletes banned from competing at Rio crosses 105. How many will finally be allowed? It takes just one guess to figure this one out. Who will be the cleanest team at the Olympics at the Rio Olympics that are due to start on 5 August? 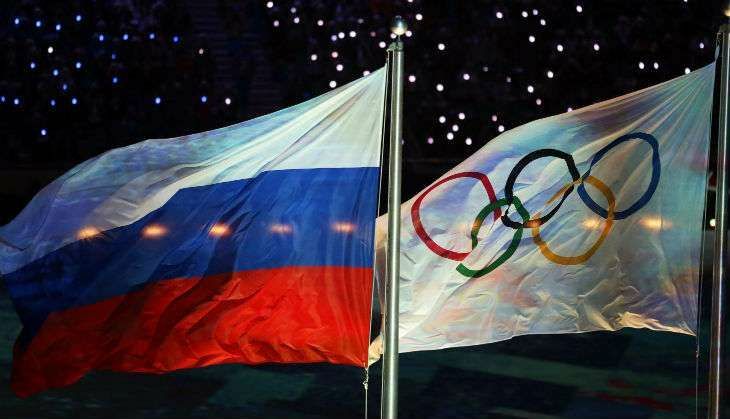 The answer is Russia, a country that narrowly escaped a blanket ban from the Games due to a doping scandal. On Tuesday, 26 August, nineteen Russian rowers were banned from competing at next month's Olympics. This, coming on the heels of athletes across canoeing, modern pentathlon and sailing as well as seven swimmers and three rowers being banned. The total number of banned Russian athletes this week stands at 37. At least 105 out of Russia's 387-strong Olympic team will be barred from competing. The vast majority, 67 to be exact, out of the 105 are track and field. A total ban on track and field athletes was upheld at the Court of Arbitration for Sport last week. The International Olympic Committee (IOC) had imposed new rules on Sunday, 24 July, barring Russian athletes who previously doped. All Russian athletes will now be subjected to "a rigorous additional out-of-competition testing program". The World Anti-Doping Agency (WADA) recently released a report alleging a state-sponsored doping cover-up. The report, which came last week, iled how Russian state officials intervened and covered up hundreds of failed drug tests. WADA is disappointed with its recommendation of having a blanket ban on Russian athletes during next months Rio Games being rejected. WADA fully stands by its recommendations. Investigators, according to WADA president Sir Craig Reedie, had beyond a reasonable doubt, "exposed a state-run doping program in Russia that seriously undermines the principles of clean sport embodied within the World Anti-Doping Code". Yulivya Stepanova was critical to the discovery of the state-sponsored doping in Russia. She exposed her nation's doping scandal. In recent days, her appeal to compete under a neutral flag has been turned down. On Tuesday, 25 July, she hit out at the IOC in the wake of this decision. Stepenova had been cleared to enter as a neutral athlete by the International Association of Athletics Federations (IAAF) but the IOC turned down this decision. Stepanova is an 800m runner. Along with her husband Vitaly - himself a former anti-doping official - have been praised for speaking out. Initially, they had taken their story to the World Anti-Doping Agency in 2010, but were told that the agency had no powers. Then, they approached Hajo Seppelt, an investigative journalist. His 2014 documentary helped blow the lid of the scandal. The Olympics have largely been an individual event contested under the pretense of a flag and this decision will sting. One thing is for certain though, Russia will be fielding the cleanest team at the Rio Olympics.